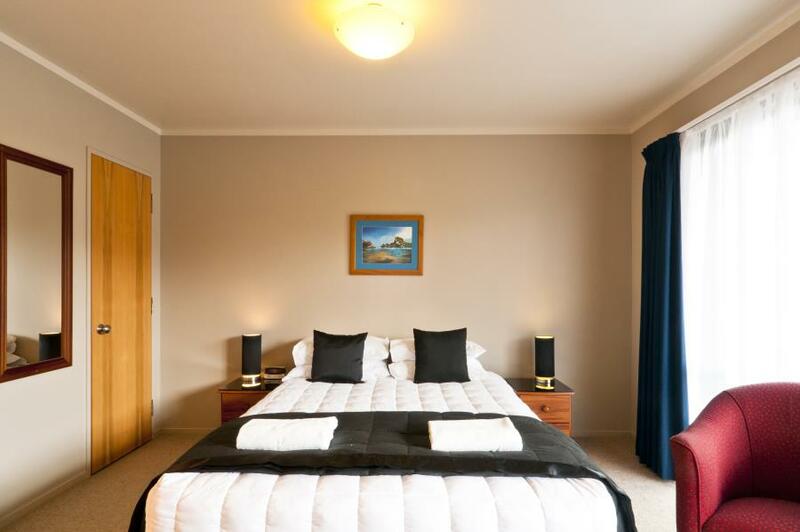 Make your Franz Josef accommodation the Alpine Glacier Motel which is right in the township of Franz Josef on the West Coast of New Zealand and the closest motel to the Franz Josef Glacier. Enjoy spacious, well appointed units nestled in idyllic West Coast surroundings with views of rain forest and snowy mountain peaks. Alpine Glacier Motel has 24 quality units offering modern facilities, kitchenettes and car parking right outside your unit, many with relaxing double spa baths and spectacular views of some of our smaller glaciers in our beautiful Alpine vista. A wonderful base for your adventure to New Zealand’s most beautiful glacier country, Alpine Glacier Motel is managed by locals with extensive knowledge and experience of the area. 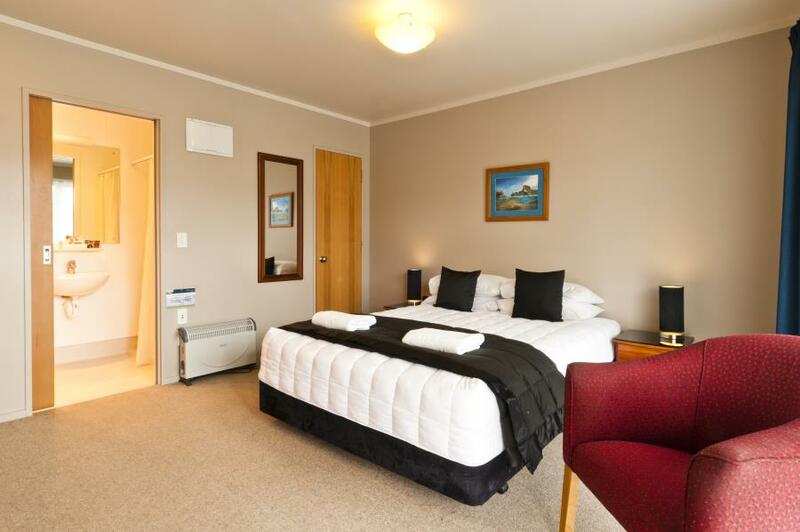 Alpine Glacier Motel's Two Bedroom unit provides a spacious, comfortable suite of rooms for all your holiday needs. Ideal for couples travelling together, a small group or family looking for plenty of space to move around, the Two Bedroom Unit offers a cosy haven to come home to after a big day out on Franz Josef Glacier. Park right outside your unit and easily carry your luggage to and from your car.Wireless internet now available from the comfort of your room. Complete kitchen amenities, modern facilities and roomy interiors mean you can relax in comfort. Alpine Glacier Motel's Spa Bath Units add a touch of luxury to your Franz Josef holiday accommodation. After a day helihiking or walking the amazing Franz Josef Glacier, kayaking nearby lakes, visiting the kiwi sanctuary or hiking through New Zealand the alpine rainforest, wouldn't it be wonderful to come back to a soak in a bubbly hot spa bath, with a gorgeous glass of New Zealand wine, before heading out to one of many excellent restaurants we have in Franz Josef? The Deck Studio is a popular choice, affording beautiful views of the smaller glaciers and mountains from your very own balcony. Gaze out over pure New Zealand rainforest with mountain and glacier views, breathe in spectacular scenery and return indoors to relax in your spacious, comfortable studio room. The Deck Studio category also provides disabled facilities, so be sure to request this when booking online. The King Family Studios offer a king size,single and pullout sofa bed, kitchenettes with plunger coffee,DVD players with movies available from the office and ensuite making them suitable for a stopover or an extended stay. Our King Family Studios allow up to 4 people to share a room. Tailor your holiday in Franz Josef by selecting the Alpine Glacier Motel studio to suit your vacation needs. Alpine Glacier Motel's King Studio features a king size bed,single and pullout sofa bed in a comfortable, warm and spacious studio room. Modern facilities, reliable heating and parking right outside give you a home away from home feel. Alpine Glacier Motel's King Studios are spacious and are designed with comfort in mind. The King Studios offer king size beds, kitchenettes and plunger coffee making facilities suitable for a stopover or an extended stay. Additional pullout sofa beds are available in our KING STUDIOS units which allows up to 3 people to share a room. Tailor your holiday in Franz Josef by selecting the Alpine Glacier Motel studio to suit your vacation needs. 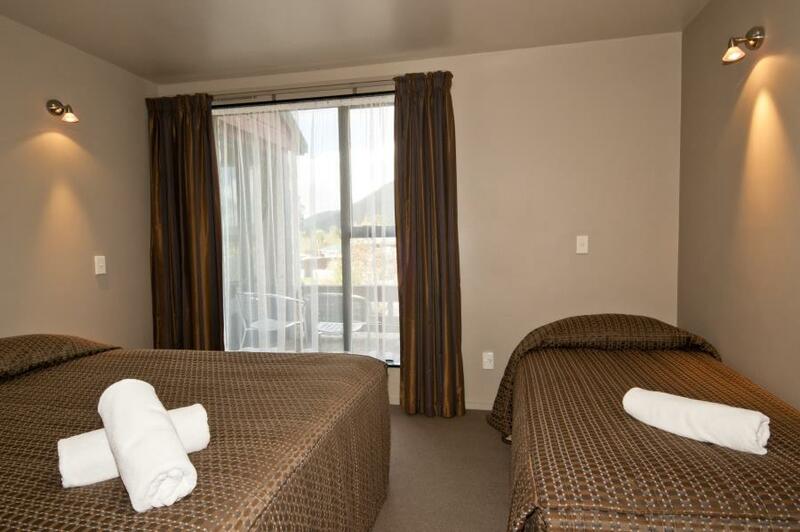 Alpine Glacier Motel's King Studio features a king size bed in a comfortable, warm and spacious studio room. Modern facilities, reliable heating,all day sun and parking right outside give you a home away from home feel. Alpine Glacier Motel's Queen Studio features a queen size bed in a warm,comfortable and sunny studio room. Modern facilities, reliable heating and parking right outside give you a home away from home feel. Take a scenic helicopter or plane flight for the glacial experience of a lifetime. See the Southern Alps from a birds eye view then descend to the slopes in to virgin snow on high alpine fields. Venture in to the unspoilt wilds of New Zealand native bush, discover Lake Matheson the “reflection lake”, explore former gold towns, jet boat the Waitangi-Taona river or design a custom, guided tour. The Franz Josef Glacier is just over 5kms from the village of Franz Josef. Descending 2000m from the Southern Alps in to New Zealand native bush at 300m above sea level, the glacier journeys a total of 12kms. Over 7000 years old, Franz Josef Glacier is easily accessible; stunning views of the glacier may be gained by taking a 20 minute return walk from the glacier road car park. The Whataroa river, Lake Mapourika (Flower of the Dawn) and Okarito Lagoon are all bodies of crystal clear water offering a myriad of opportunities to get in touch with mother nature. Natural habitats for New Zealand native birds, local fauna and flora, all are exceptional eco-friendly attractions for kayaking and boat cruises. For a friendly welcome, great cuisine, fine wines and good beers visit Franz Josef’s local restaurants, cafe and pub scene. Great nights out, wonderful lunches and good coffee to wake you up for a full day on the glacier. While there are plenty of things to do in Franz Josef when the weather is good, we are surrounded by wild rainforest and precipitous mountains and can get the odd bad weather day. Make the most of Alpine Glacier Motel's cosy atmosphere to relax with a book and a hot drink, or get out and enjoy all the other activities available to you in the wonder of New Zealand countryside. Very friendly staff, great sized room and comfy king size bed. Electric blankets were fantastic for the cold nights. Bathroom and rest of the room great sized and very clean. View from rooms was amazing. Walking distance to everything. Highly recommend. Arrived early and ended up with an upgrade. What fantastic rooms and friendly service from Billy. The huge king size bed, massive room and perfect view made this a spectacular stay even though it was just one night. Next time we will be staying longer. Although we stayed mainly in bed and breakfast places whilst touring New Zealand we chose the Alpine Glacier motel on this occasion as it is handily placed for visiting the Franz Joseph Glacier. It is relatively reasonably priced for a prime tourist area. The motel was full but reception staff were friendly and attentive both on arrival and departure. Our room (a deck studio) was spacious, comfortable, pleasantly furnished and decorated and had all that we needed for self-catering (which we did on this occasion). We had a distant view of the glacier from our deck. The motel's laundry facilities were good with no charge (and detergent provided) for use of the washer and only a small charge for use of the dryer. The motel is near the village centre so only a short walk to shops and restaurants but we found it to be quiet during our stay. This is a nice little motel at the center of the city. Most restaurants are about a five minute walk away. The rooms are quite large and are equipped with a kitchenette, fridge and a spacious bathroom. Most rooms offer a nice view of the mountains. There is also a parking space right outside the room.